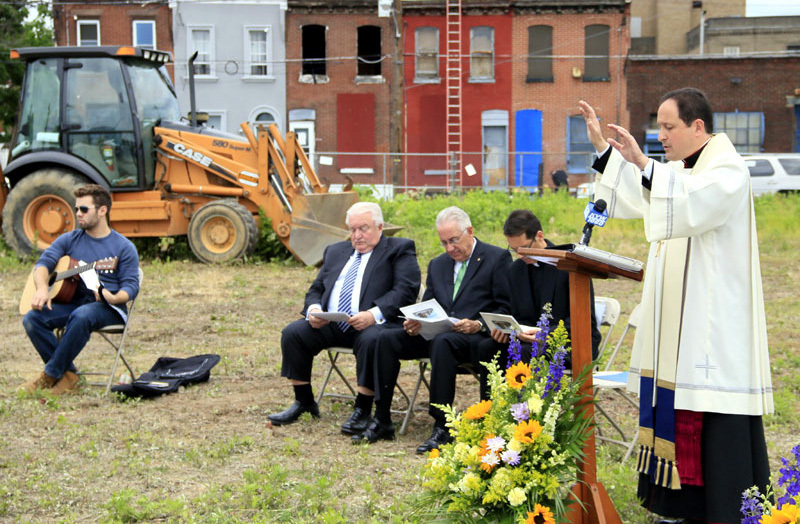 Bishop John McIntyre blesses the ground where St Francis Inn Senior Housing will be bulit. 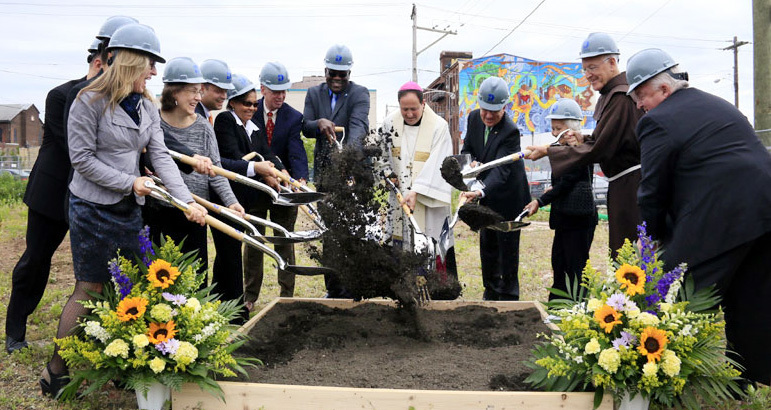 Bishop John McIntyre leads the blessing rite fro the ground on which St. Francis Villa will be built..
Kelvin Jeremiah, CEO of the Philadelphia Housing Authority (right), speaks about the $1.8 million the PHA contributed to the new project. 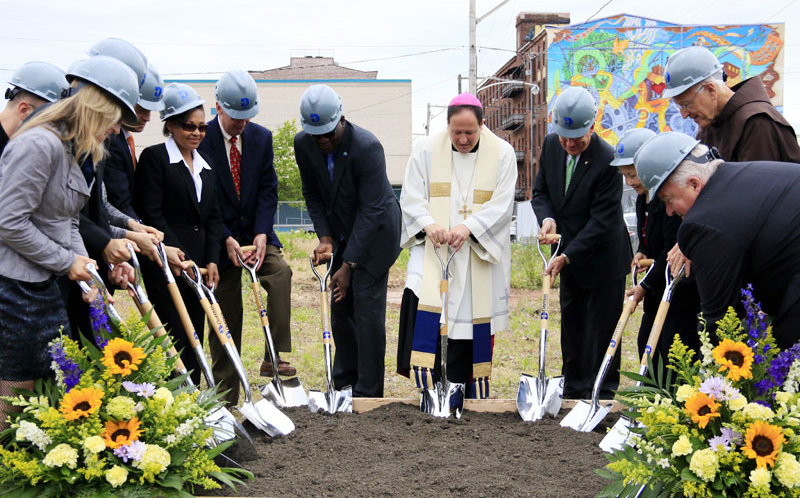 In attendance at the ground-breaking ceremony were, from left, John Wagner and Joseph Sweeney of archdiocesan Catholic Human Services, Redemptorist Father John Olenick, pastor of Visitation B.V.M. 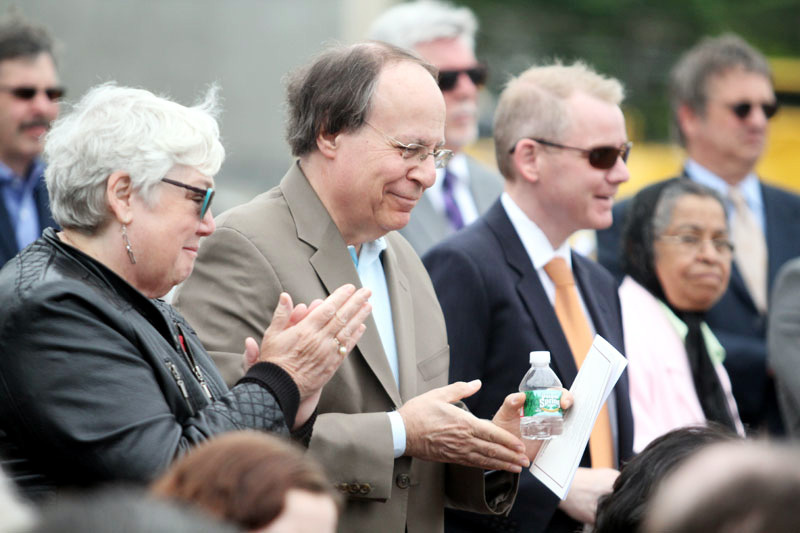 Parish, and Bishop John McIntyre. 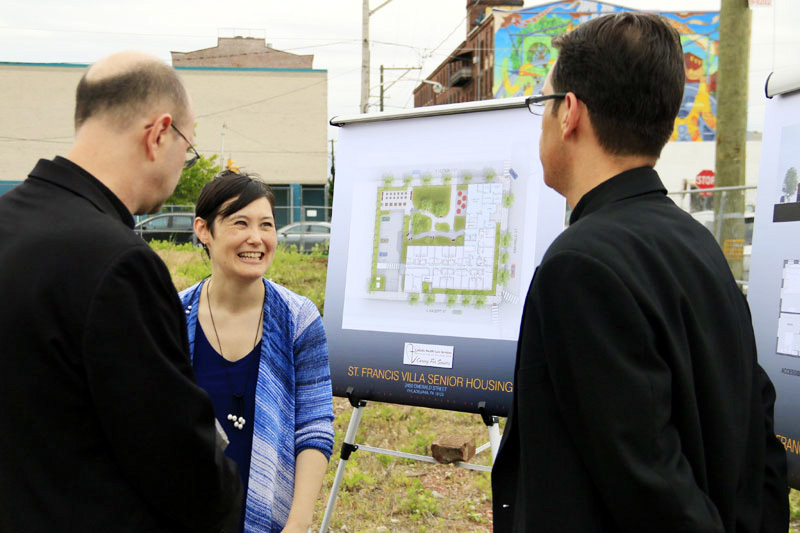 Kimiko Doherty (center), senior project manager for the archdiocesan Office for Community Development, chats with Redemptorist Fathers Bruce Lewandowski (left) and John Olenick. 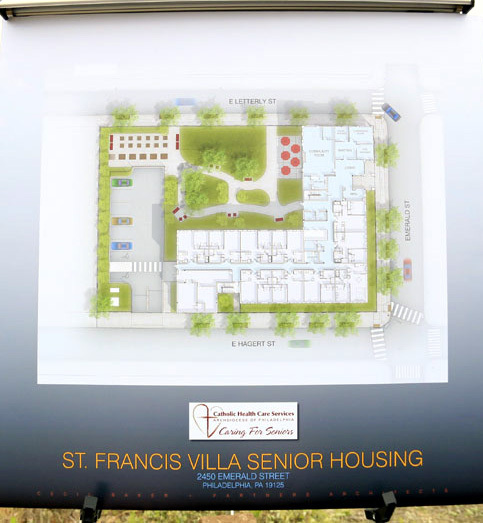 A diagram shows the layout of the facility now under construction. 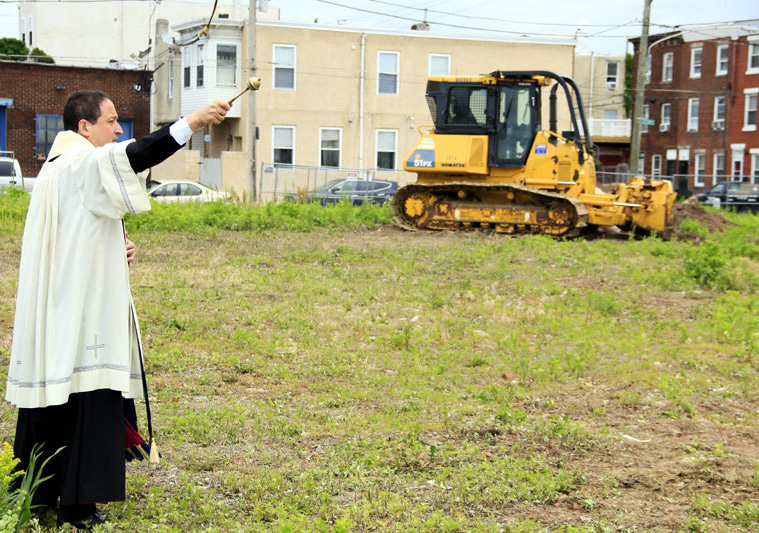 Bishop John McIntyre blesses the ground where St. Francis Villa will be built. 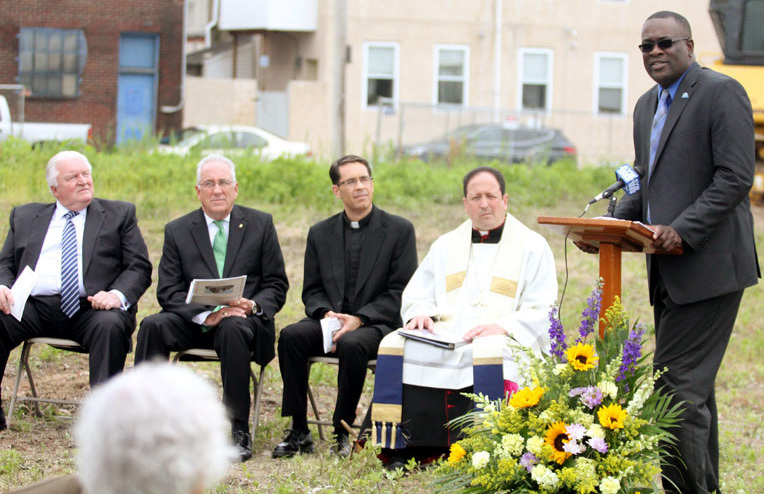 Joseph Sweeney Jr., secretary for Catholic Human Services of the Archdiocese of Philadelphia, speaks during the ceremony. 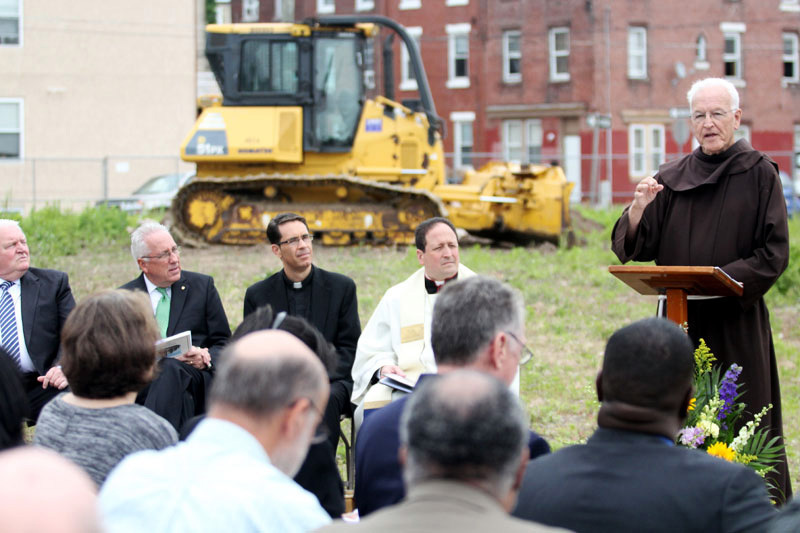 Franciscan Father Michael Duffy, who leads St. Francis Inn in Kensington, said one-third of the people coming to the soup kitchen are elderly residents who cannot afford food. 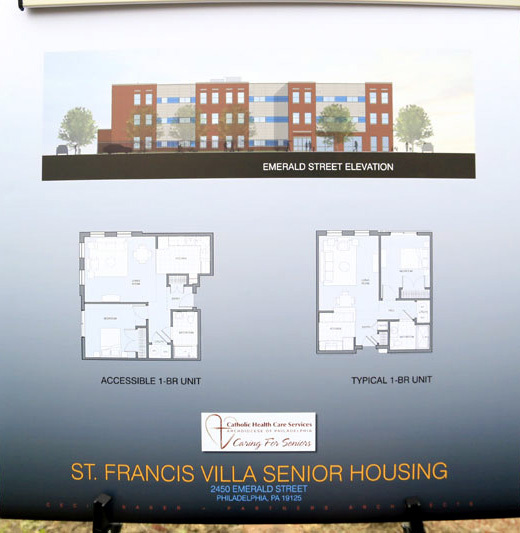 Where are the other senior housing communities located?